In other words, having lots of “stuff” in your visual field can make it difficult to achieve the focus needed for meaningful work. Of course, I don’t want to work in a spartan, decor-free room, either. So what do I keep around my work space? Here’s a quick tour of the few items that I allow in my immediate work space. On my desk you’ll find the expected. A computer, keyboard and mouse. There’s a coffee mug fill of pens. The mug has sentimental value to me, as I bought it while on a family vacation. Seeing it makes me smile. Next you’ll find a stack of 3×5 index cards and a desktop “inbox,” much like this one. Lastly, there’s a coaster for the odd drink (tea, etc.). Notably absent: photos. I know many people feel motivated or happy when looking at photos of loved ones. I understand that, but those images make me wish I was with them and not at work! So no family photos for me. To the left of my desk is a bulletin board with quick-reference material. I’ve written about my love of bulletin boards before. Mine stores phone numbers I need to know, policies that must be public and a few other similar items. I like a tidy computer desktop as well. For me, that means the wallpaper must be either a solid color or depicting a simple image. Also, I can’t handle a screen littered with icons. I know that many people like to keep icons representing oft-used documents and applications on the desktop, and I can respect that. I just prefer folders. There’s a quick look. For me, visual clutter definitely interferes with my ability to focus on work. With that in mind, these are the few items I’m glad to have around. How about you? Whenever I tell people that I love ironing, especially large items like sheets and duvet covers, I get the strangest looks, like I had just told them I scrub my floors with a toothbrush. 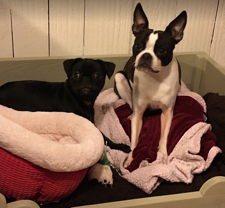 “Your sheets?! ?” they say aghast. Yes, my sheets, and dishtowels, along with all my shirts and any trousers that aren’t denim. Why do I love it so much? Apart from the oddly comforting vision of wrinkle-free fabric, when I’m ironing, I don’t think about anything else. It’s just me, the fabric and the steam-iron, putting order to my inner and outer world. And it’s not just ironing that I love. Sweeping and doing the dishes create the same sense of tranquility for me. In fact, if I owned a store, whenever I didn’t have clients, I’d probably be outside sweeping the sidewalk and humming to myself. This type of imposed order on chaos could be compared to the creation of a Japanese Zen garden. Just as a Zen priest rakes the gravel into near-perfect abstract patterns to help focus his thoughts and reach a deeper level of meditation, my household chores help me disconnect from the stresses of work, family, and daily life. I’ve tried seated meditation in the past and it doesn’t work for me. I have poor posture (too many years at a desk job) and a very active brain. Between the pain of trying to maintain a sitting position for more than a minute and the million and one thoughts that pass through my mind, meditation just doesn’t happen. In the 1970s, a new term for active meditation – Dynamic Meditation – was popularized by the Indian mystic Osho, although now the term is used to describe any sort of meditation that includes movement. The idea behind it is that since it’s difficult for modern people to sit still, the body can be in movement while the brain and spirit go on the meditative journey. Put on music – It doesn’t have to be soothing music. In fact, the other day, I listened to a selection of Greatest Hits by the rather out-there Army of Lovers. The point of the music is to create some background noise that reminds me of the existence of the outside world. Handkerchiefs, tea-towels, cloth napkins: These small quick achievements make me happy and begin to disconnect me from any stress I might be feeling. Trousers and shirts: These are the tricky things, and as they need the deep concentration if I’m not going to miss a part or burn the cloth, I am forced to pay full attention to the task at hand. Sheets and duvet covers: At this point when I’m relaxed and highly attuned to the movement of cloth and machine, I can take my time and let my thoughts drift while my hands do the work. Admire the results – One of the rewards of raking gravel in a Zen garden is later sitting and looking at it, so if you don’t admire the neatly folded pile of sheets and crisp shirts on hangers then you are getting only half the benefit of the active meditation. Apart from ironing, sweeping, and doing the dishes, other household chores that I’ve turned into active meditation include: weeding the garden, shoveling snow off the driveway, raking leaves, and even painting the house. 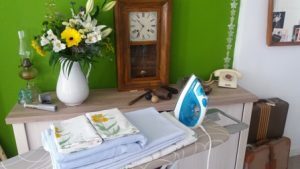 The next time you groan at the thought of the pile of ironing waiting for you to get around to, or the latest snowstorm demanding your attention, try looking at it as a chance to meditate and free yourself from the stresses and cares that have been building up inside you. Conference handouts: do you ever refer to them? If you have ever been to a conference, I’m sure you’ve received more than your fair share of handouts and other paper, from the organizing body, speakers and vendors. Plus you’ll also have whatever notes you take. Conferences sometimes can feel like the New Year, a perfect time for resolutions, vows and promises to ourselves about what we’ll get right to work on when we’re back at our desks. But like most New Year resolutions, our good intentions get buried in the day-to-day details and mini-crises that make up a normal workday. Years ago, in my most minimalist stage, I refused any and all handouts, relying on my memory. I had the theory that if a presentation didn’t cause a strong enough impression that it stuck in my brain, it wasn’t of much importance or priority to me. The there are those who go to the other extreme, not just collecting everything they can, but also organizing and archiving it so that they can access the information at any point in the future. My mother was the latter type and although she didn’t refer back to every piece of information from every conference, she quite often pulled out some useful tidbit or other when working on a new project. I just got back from a conference in Barcelona where I learned a lot about things that we are either in the process of implementing or could introduce at work. And since I’m no longer so minimalist, I took copious notes and after getting home, I downloaded the handouts/presentations of each of the sessions I attended. I was also given marketing material about products and processes the vendors offered. Between paper and electronic documents, I probably have a full day’s reading. Assuming I actually look at it all, which I won’t. I will hold onto my own notes and the presentation notes until I finish the projects we are working on that prompted me going to the conference. And the marketing materials will go straight into the recycling bin as will materials about the conference itself. Determine what part of your job the handout relates to. Make a note of it on the handout and store it with your other files on the same topic. If it’s not connected to anything you currently do, is it something you want to try in the future? If so, create a “future plans” document on your computer and add the basic ideas to it. Toss out what you picked up from the conference,, because when you finally get around to the idea, it’s highly likely you’ll need to research the topic again to find out the latest advances. Are you ever involved in running events? I am, so parts of my notes include my impression of the conference itself: what they did well and what wasn’t quite so good. I put these notes in with my event planning files (which in my case are all electronic — I really do hate paper). Record the vendor details in your preferred contact management system, along with a note about why you might be interested in working with them, and get rid of the marketing materials. Vendors are always happy to provide you with new information at any time (which these days can almost always be found online). What do you do with conference handouts? Have I missed anything? Share your tricks and tips in the comments. Do you need to toss those old items in your pantry? In the U.S., there’s no federal law regarding food product dating, except for infant formula where an expiration date is required because the nutrients decline over time. Some states have additional requirements for products such as milk and eggs. But most commercially produced food items, including shelf-stable items such canned corn, jars of mustard, and packages of pasta, also have date labels: sell by, consume by, use by, best by, best if used before, enjoy by, etc. And sometimes there’s just a date, with no label at all to indicate what the date means. Companies use the labels to protect the reputation of their products — they want consumers to see and consume their food in as fresh a state as possible. But those dates often have the perverse effect of convincing over-cautious consumers to throw perfectly good food into the trash. Best If Used By: Describes product quality, where the product may not taste or perform as expected but is safe to use or consume. Use By: Applies to the few products that are highly perishable and/or have a food safety concern over time; these products should be consumed by the date listed on the package – and disposed of after that date. These are voluntary standards, and you won’t see the new labels immediately, but it’s a move that should (over time) help everyone make more informed keep-or-toss decisions. In the meantime, you can still recognize that a best-by type of date on a non-perishable food item is a flavor indicator, not a food safety indicator. The cans to toss for safety’s sake are those that are bulging or leaking, those that have deep dents, especially if the dents affect the seams, or those with rust along the seams. If you want to consider donating the items, check with your local food bank or other food donation center as to its rules. My local social services agency accepts non-perishable food up to one year past the “best by” date. Another note: According to the FDA, that bottled water you’ve stocked up on as a critical part of your emergency supplies will still be safe past any labeled expiration date, as long as it’s in an unopened, properly sealed container. It might have an off-odor or taste, though. That’s not what happens when you combine boots and sandals. 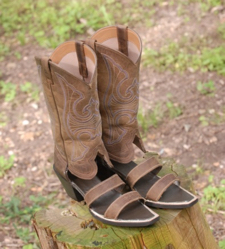 Redneck Boot Sandals combine cowboy boots and sandals into a single article of footwear. On their own, sandals are great. Cowboy boots are very nice as well. Together, however, we have a problem. Let me note that I am not a fashion guru. I throw on some jeans, a T-shirt, and a baseball cap and call it a day. It’s even worse where footwear is concerned. I’ve got sneakers, a pair of shoes for work, and winter boots. So take my fashion advice with a grain of salt. While boot sandals are cute as a novelty, I won’t be buying a pair. How about you? Frugality is a big part of the uncluttered lifestyle. When I say “frugal,” I mean thrifty and never wasteful. That said, there are certain things I’m willing to spend a little extra money on. While changing a flat tire in the snow last week, a few automotive options came to mind. Here’s a list of auto accessories that I think are worth the expense. 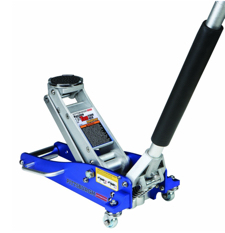 A compact, portable floor jack is worth the cost. This aluminum, 1.5 ton model from Pittsburgh Automotive could be just what you need. For starters, it’s so much easier to use than the scissor jack that probably shipped with your car. Consider that you’ll have to turn the nut on the scissor model 25–30 times before your car is elevated to an adequate height, while a floor jack will get in there in about five pumps. Likewise, a floor jack will slowly and safely lower your car within a few seconds, while the scissor jack requires 25–30 more twists, this time counter-clockwise. There are some cons to consider as well. First, it’s heavy. At 31 pounds it’s heavier than your scissor jack. It’s also big; the compact model I’m suggesting is 23 x 10 x 7 inches (the handle can be removed so it’ll fit in your trunk). Lastly, it’s more expensive than the “free” jack that comes with the car. I fell in love with the portable floor jack the night I was struggling to lift our Mazda. After many minutes of effortful turning, the jack itself slipped and the car came down upon it, crushing it. I called AAA and a worker arrived with a portable floor jack. He had my car raised and the tire off in about 90 seconds. That’s when I was sold. Speaking of tires, I like to have a full-sized spare. Here in North America, it’s a good purchase decision. But that isn’t the case everywhere. I know that in Europe, for example, many cars don’t come with spares at all – not even a “donut” (half-sized spare) because there are service centers all over the place. In that case I would recommend paying extra for the donut. Here in the States we get the half-sized spare, or donut. It’s meant to be a temporary fix that gets you to a service station. You shouldn’t exceed 45 m.p.h. with those things and they really aren’t the safest. Since a flat can strike at any time, and service stations are often few and far between here in the U.S., you could be stuck with the donut for several days. I recommend getting a spare rim for your car (find a local junk yard to save some money) and a good quality tire. Your local tire shop will gladly put the tire on the rim for you. Yes, it takes up more room than the donut, is heavier and expensive, but as far as safety and convenience are concerned, it’s well worth it. Next, I’ll recommend heavy-duty floor mats, if you live in the right region. Here in New England, we have Sand Season, Snow Season and Slush Season. They’d be overkill in Texas, for example but if you experience winter, read on. Several years ago I purchased these Weather Tech mats for our little Volvo and I love them. Unlike other heavy-duty mats, these are designed for the specific make, model and production year of various vehicles, so they absolutely fit and stay in place. Ours endure summer beach sand, autumn mud and frozen winter nastiness easily. To clean, simply snap them out and hose them off. They aren’t cheap – you’ll pay about a hundred dollars – but I’ve had the same set in my car since 2008 and they look great. Here are a few more quickies. An auto-dimming rear-view mirror is a nice upgrade, especially now that so many cars seem to have those weird blue headlights that seek out your retinas and burn them to cinders. This “car cup” charger for long road trips when everyone wants to be fully juiced. I’ve debated recommending factory-installed GPS with myself and I still don’t have a definitive answer. That’s mostly because I’ve never experienced it. I just used my phone, which is portable and reliable. I bring it into a rental car, for example. Of course, not everyone has a smartphone with GPS capability, so I’ll leave this one hanging. Perhaps some testing is in order. Lastly, let’s talk about road-side assistance services like AAA, CAA National, OnStar, etc. They day you need help (especially when you’re far from home) is the day you’ll recognize their value. Remember, “frugal” doesn’t mean “cheap.” It means nothing is wasted, including your money. While these add-ons are expensive, I think they’re worthwhile investments. Let me know if you agree. The new minimalist: how far can disownership go? My twenty-something friends talk about all the various ways of streaming music, movies, series, and books. (Recently I heard that not a single singer in Spain sold more than 90,000 albums in 2016 [article in Spanish]). They also have a belief that they will never earn nearly as much as their parents did (youth unemployment in Spain is higher than 40%). This got me wondering how far a sharing economy based on music-streaming and social media models could take us? Back when Unclutterer started, PJ Doland had a great series of articles about extreme minimalism, talking about someone who actively rejected ownership on a grand scale. But what if extreme minimalism wasn’t a choice? What if with the steadily shrinking middle class and the rise of the uber-rich, owning things became prohibitive for a large portion of society? A coworker told me recently about the years she spent in Nicaragua where amongst the poorest levels of society, there isn’t a strong concept of ownership. If one person in the community has something (like a newly drilled well in the case of my coworker), it is considered to be the property of the whole community. 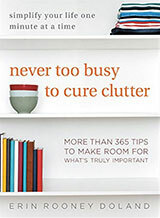 Jacki has talked about office sharing and Jeri wrote about sharing items to reduce clutter. To add to my growing awareness of the disownership trend, I saw an article about co-owning a home with friends and what risks and traps to avoid. The creative part of my brain has put all these pieces together and has formulated a question that I find myself very curious to explore: What would a non-ownership world look like? I’m not talking about a Utopian socialist/communist society. I am talking about the next steps of an increasingly corporatocracy that excludes more and more people from belonging to it without the support of friends and family. That question has prompted me to take a new look at the Extreme Minimalist Monday theme. Occasionally over the next little while, I am going to take a look at the extension of sharing/streaming technology into day-to-day life and how it might affect the level of clutter/organization in the lives of people who participate in it. Here in Spain, social media Influencers (yes, with a capital “I”) talk about the importance of carving out a unique fashion style and always being on the edge of whatever is coming next. Obviously these Influencers don’t have TARDIS-like closets that are infinitely larger on the inside than the outside, so they have to do something with all the clothes they discard when they move onto the next trend. And so Chicfy was created (website in Spanish). It’s an app that’s part Instagram and part eBay. Users create their store, put up photos of the clothes they want to sell, (usually relying heavily on the selfie photography style) and gain followers. These followers then buy the clothes and when they tire of them rework them into a different style that will encourage their own followers to buy something. At some point someone needs to physically buy (or sew) the clothes, but instead of sitting unused in a closet, or ending up in a landfill, they get passed along, the way children’s winter boots used to go from oldest to youngest siblings until the soles wore out. I personally don’t know anyone who uses the app, and the song that they use to advertise the service is an incredibly irritating earworm that has become a streaming hit. For an extreme minimalist, it could be a good way to opt out of the consumerist society that demands we buy only new, while still staying on the edge of what’s considered fashionable. Now then, taking this to the next level, will buying new clothes become something only the rich do, while the rest of us buy progressively more worn-out wardrobes along some social-media-created scale of affordability? In the past I’ve sometimes dedicated a blog post to a book I’ve read that I thought would interest Unclutterer readers. But this time I’d like to recommend a reasonably short article in the Harvard Business Review: “8 Ways to Read (a Lot) More Books This Year,” by Neil Pasricha. This isn’t dry academic theory — it’s what Pasricha actually did to increase his annual book-reading rate from five books a year to 50 books last year and probably around 100 books in 2017. And as I read through his list of eight strategies, I could see how the ideas behind them could be applied to forming other new habits and reaching other goals. Instead of relying on will power to switch from TV watching to book reading, Pasricha set up his environment to support his goal. If you write reviews on Goodreads or send out monthly reviews to an email list, you’re making a public commitment to reading — your friends will notice if you stop. To me, this sounds better than just publicly proclaiming on January 1 that you’re going to read a certain number of books that year, because such claims are easily ignored. This is a way of continually celebrating that you’re living up to your personal commitment. And you get to share some cool books with others! He also suggested looking at another article: “The Tail End” by Tim Urban. Urban looked at measuring his remaining life in terms of activities and events, figuring he might have about 60 Super Bowls left to watch and 300 books left to read, excluding books he read for work. That 300 figure (or whatever the number is for you) can make it easier to give up on a dud. When did I read those five books a year for most of my life? On holidays or during long flights. … When do I read now? All the time. A few pages here. A few pages there. Nothing that Pasricha did was all that unusual, and much of it is standard advice for anyone trying to build a new habit: make it as easy as possible to do the right thing, make a public commitment, celebrate your successes, etc. 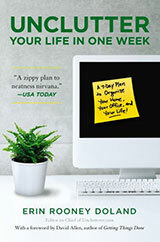 What did seem unusual was how he combined all eight strategies to reach his goal. It’s a good reminder that forming new habits often isn’t easy, so it’s helpful to look at multiple ways to support those new-habit efforts. Thank you for this great question Sam. How exciting to find your parents’ airmail letters! It is a wonderful portion of your family history that deserves to be preserved. Paper, especially airmail paper, ages quickly and can become brittle so you are wise to embark on this conservation project. I would suggest that you first organize the letters and then scan them. This way you will know exactly what you have before beginning the scanning process. Because airmail paper is delicate, you should handle it with cotton gloves to prevent oil or dirt from your fingers damaging the letters. It is probably easiest to sort the letters by date. Don’t be too fastidious on your first sort through. You can do a first run by separating the letters by year and then second sort by separating each year by month. Store the letters in acid-free boxes, preferably unfolded. Be very careful in unfolding the letters and straightening the creases. You do not want to damage the paper. Do not use tape or glue to fix torn letters. If you are worried about a letter falling apart, place it in an acid-free sheet protector. By storing the letters in the acid-free boxes, you are keeping them protected while waiting to be scanned. Scanning can be a rather long process and there are a few things to think about before you start. Use a flatbed scanner. Scanners with auto-feed could very easily rip or tear your letters beyond repair. You want the electronic version of the letter to retain the quality of the original document yet be of a reasonable file size. You may need to scan one letter at several different quality levels (colour or greyscale; 200, 400, 600 dpi; JPG, TIFF or PDF) to determine what the right balance is. Once you’ve found the correct settings, scan one letter and note the file size. Multiply the file size by the number of letters you have and add about 20%. This will be the amount of space the files take on your hard drive. Should you need to, purchase an external hard drive on which to store your files. Once you have determined the scanning parameters, decide on a file name format. Personally, I prefer a combination of date and name. For example, 19580214_Mom2Dad.pdf would be a letter sent on February 14th, 1958 from your mother to your father. By using the format YYYYMMDD_name, all of the files will stay in chronological order on your hard drive. Now you can begin your scanning process. Remember to handle the letters carefully and wear the cotton gloves. Once scanned, you can return the letter to its acid-free storage box. You can leave an index card between two letters as a bookmark in case you don’t get finished scanning the entire box in one sitting. Do not use paperclips or staples as they can warp or rip the paper. If you’d like to keep a paper copy of the translation with the original letter, use an archival pen to write the translation on archival paper. Home printers do not have archival quality ink and the ink may do damage to your airmail letters if they are stored together. If you’re having difficulty deciding how to scan your letters, take a few to your local archive or a nearby college/university’s archives department. They should be able to provide recommendations. Some community archives will, for a fee, take on a private conservation project. If the archives cannot help you, they may be able to recommend a private company who would be able to convert your paper documents to electronic ones. If you choose to take this path, we recommend that you organize and properly store your letters first. All the best of luck with your family heritage project Sam! As 2017 begins I find myself closer to 50 than 40, and that means change. I pay closer attention to my diet, my children are becoming teenagers and words like “investments” have entered my vocabulary. Lately I’ve also been taking a good look at something else — my wardrobe. I’ve always been a “jeans and T-shirt” kind of guy. A baseball hat and a pair of sneakers have rounded out the look that has been my unofficial uniform since I was in high school. It’s casual and comfortable, but there is one little problem — I’m not in high school anymore. To paraphrase 1 Corinthians 13:11, it’s time to put childish things behind me. In this case, the wardrobe of my youth. In this article, I’ll describe how to organize a respectable wardrobe for a man in his 40s. I’m not an expert in the world of fashion or style (see the previous paragraph for proof), so I scoured the internet for some direction, which I’ll share with you here. Step one is to edit the wardrobe. I suggest actually laying everything out on the bed to get a good overview of what you’ve got. First, note items that you haven’t worn regularly because of size, condition or style, and set them aside. Next, ID the items that you’ve kept around for their sentimental value but stopped wearing long ago. Finally, anything that’s simply worn out – those old sneakers, for example – go in yet another pile. With that done, it’s time to say goodbye. You’ve got several options here. Items in good condition can be donated to local charities. Clothing that someone wouldn’t buy in their current condition should be re-purposed as rags, dress-ups for the kids or even “work clothes” for painting, gardening, engine repair, etc. Additionally, some Goodwill stores recycle these well-worn clothes to be used again, but in a different form. As for the sentimental T-shirts, here are a few ides for dealing with those. A few years ago, my wife took several of mine and made them into a beautiful quilt that I keep on the bed each winter. Lastly, consider handing down anything that’s still decent to your kids. My 13-year-old looks pretty cool in dad’s old Van Halen T-shirt. Well not size as the number printed on the clothing tag. I’m talking about how the item fits. I mentioned the fact that I’m not 18 anymore. Back then I played soccer and my shape was a bit different from what it is today. That said, I’ve bid goodbye to the slim-cut jeans, pants, and shirts that I wore long ago. Now, this doesn’t mean that I need to start going up in size. In some cases it means simply moving from a slim-fit to straight-leg style. At this age, you want to be prepared for several eventualities, from a clothing perspective that is. Weekend events could bring anything from weddings to softball games. Here’s what you should have around so you’re not scrambling at the last second. A suit. One that fits and looks good. A nice hat. It might sound silly, but my wife is sick of the sweat-stained Red Sox hat that I love so much. I recently got one of those tweed caps and it looks a lot better. Decent loungewear. A 20-year-old can get away with brightly logoed boxers and a T-shirt on Saturday mornings. I have several pairs of what I call “lounge pants” (essentially flannel drawstring pants) and decent, solid-color tees. Just don’t wear your lounge pants out of the house. Ever. Dress shirts. Somewhere between three and six of them depending on your lifestyle. Shoes. Sneakers are for kids. Have a brown pair and a black pair, something casual and something dressy. Socks. Invest in a few pairs of quality black and brown dress socks that won’t slide down your legs and wrinkle up between your toes. Leave the white gym socks for the gym. Accessories. Get a brown and a black belt and a couple of good quality ties that coordinate with your dress shirts and suit. Pants. Have at least one decent pair of jeans and a few pairs of casual pants in your regular rotation. As I said, I’m not fashion expert. But I do want to dress like an adult. With a little effort, you too can organize a respectable wardrobe. We “men of a certain age” have to stick together, and look like grown-ups while we do. Is good enough the real enemy of good? When it comes to productivity, you’ll often see people quote the aphorism often attributed to Voltaire: “Perfect is the enemy of good.” If we worry about being perfect, we won’t get anything done because perfection is impossible to achieve and we will never move on to other projects. Or alternatively, we fall victim to the Nirvana fallacy, not starting anything because we know it will never be perfect. One of the supposed cures for perfectionism is to ascribe to a belief in good enough. 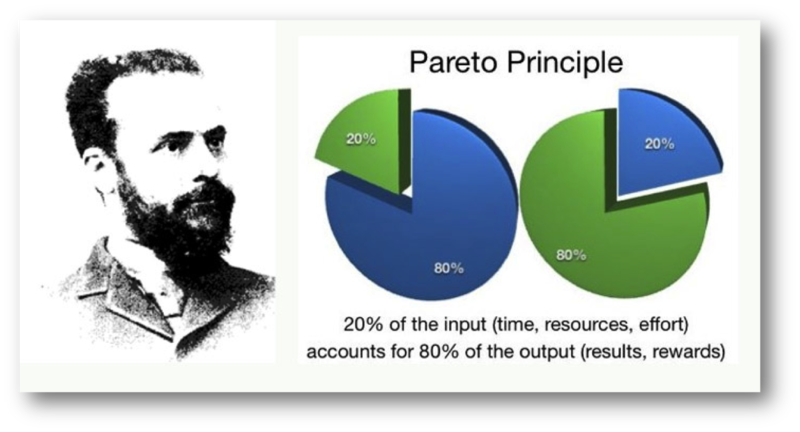 For most of my life, I’ve been a huge fan of the Pareto Principle, that 80% of the result from 20% of the effort is good enough. For the most part, it has worked too. I’m productive, I clear away to-do lists quickly, and my house is livable. Then I met my husband. He’s not at all a good enough person. But neither is he a perfectionist. He’s a “do the job well until it’s finished” person. Yes, he does have perfectionist tendencies and believes that everything can always be improved upon, but he doesn’t let his perfectionist ideas get in the way of getting things done. If I’m going to be honest with myself, impressive is much better than mostly functional. This got me thinking. Why am I really a good enough person? Is it because I want to be productive? That I don’t want to fall into the never finishing or never starting traps? Not in the slightest. It’s because I’m lazy. Saying that good enough is a decent place to stop, allowed me to quit working on something. I didn’t need to put in more effort because I wasn’t really interested in great, only in good enough. And, having made this confession to myself, I realized that perfect is not the enemy of good. The true enemy is good enough. At work, when preparing emails to clients, I’ve had to send out the email a few times because of errors in the mail merge fields. In the kitchen, the plastic containers were mostly accessible, but getting that one we use only rarely was a real pain to reach. On the bookshelf, everything fit but it wasn’t as visually appealing as it could have been. Since adopting a good (or great) approach to projects instead of the borderline good enough, my productivity is even higher at work, my kitchen is much more usable, and my house always generates a “wow” any time someone new visits. How about you? Which for you is the bigger enemy of good? Perfect or good enough?